Peggy Hart, 75, of Asheville, died Friday, September 16, at the Elizabeth House in Flat Rock. Peggy was born in Johnston, SC, to Claude Walker Hart, Jr., and Mattie Lou Hart. She lived in Johnston through high school, after which she attended Winthrop University. After graduating from Winthrop, she further obtained a Master of Social Work from Virginia Commonwealth University and a Master of Religious Education from the Southern Baptist Theological Seminary. She lived and served in many places, from Mobile, Alabama, to Waterville, Maine, before settling in Asheville thirty years ago. Peggy’s lifelong desire to help those in need led her into the field of social work. 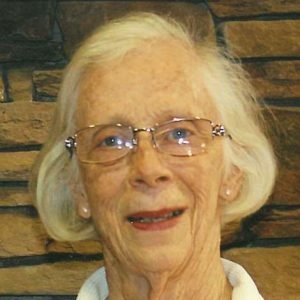 She served tirelessly in a number of hospitals, school districts, hospice organizations, and finally the Black Mountain Home for Children, a place that was very dear to her heart. She touched and improved many lives along the way, including the lives of countless cats, which she considered to be something close to four-legged furry angels. Peggy is survived by her son David Young and his wife Joy, of Guthrie, OK; her daughter Amy Young-Schnarr and her husband Ben, of Charleston, SC; her brother William Hart, of Edgefield, SC; her sister-in-law Sara Hart, of Asheville, her brother-in-law Ken Marsh, of Kingsport, TN; her grandchildren Gabriel, Lauren, and Jack; and many nieces and nephews. She was preceded in death by her sister Patsy Marsh of Kingsport, TN, and her brother James Hart of Asheville. Peggy’s memorial service will be held at 4:00pm on Sunday, September 25, at Arden First Baptist Church, with pastor Timothy Brown officiating. There will be a reception immediately after the service. Flowers may be sent to Arden First Baptist Church, 3839 Sweeten Creek Road, Arden, NC 28704, or memorial donations may be made to the Black Mountain Home for Children, 80 Lake Eden Road, Black Mountain, NC 28711.